The trail to Hawksbill is 1.5 mile out and back to one of the dominant peaks overlooking the beautiful Linville Gorge. 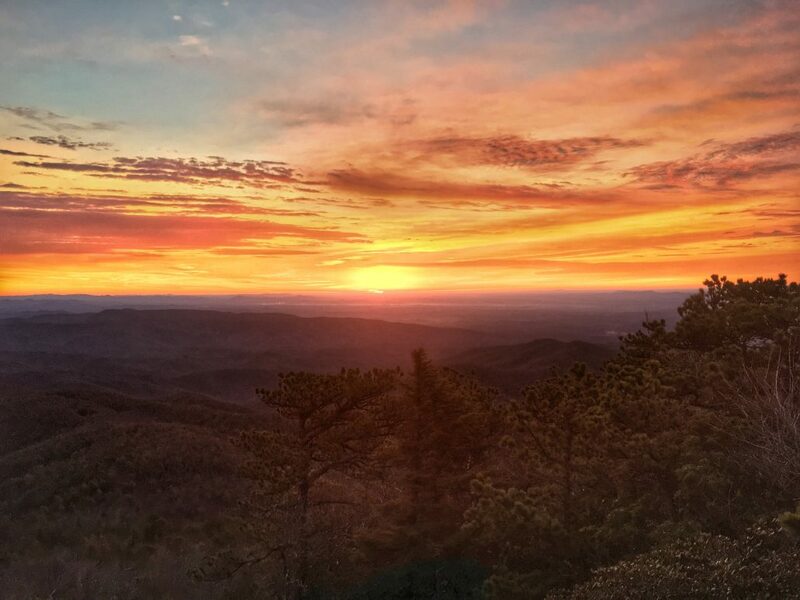 At the summit, you will sit 2000 feet above the valley floor and its winding Linville River. On low haze days you can even spy Charlotte, North Carolina’s skyline. If you have the time and energy afterward you can drive a couple miles down the road and explore Table Rock! Location: From Asheville take 1-40E to Marion and then follow US-221 north to the Linville Falls area. Follow US-183 to US-181 and take 181 for 2 miles to the second intersection with Gingercake Rd. and follow signs for Table Rock on 1264. In 3 miles you will see the parking area for Hawksbill Mountain.